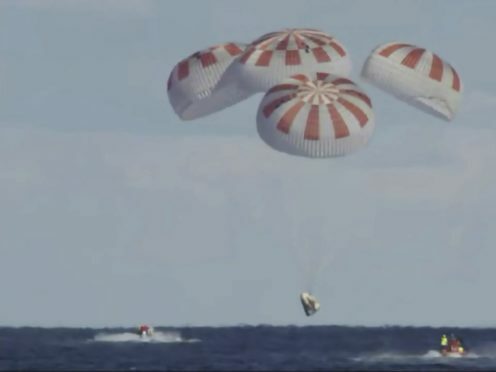 SpaceX’s new crew capsule has returned to Earth, ending its first test flight with an old-fashioned splashdown in the Atlantic Ocean. The Dragon undocked from the International Space Station early on Friday. Six hours later, the capsule carrying a test dummy dropped into the Atlantic off the Florida coast. It marks the first time in 50 years that a capsule designed for astronauts returned from space by plopping into the Atlantic. Apollo 9 splashed down near the Bahamas on March 13, 1969. Nasa astronauts have been using Russian rockets since space shuttles retired eight years ago. Nasa is counting on SpaceX and Boeing to start launching astronauts this year. Friday morning’s splashdown was the final hurdle of SpaceX’s six-day test flight. SpaceX employees cheered and applauded at company headquarters near Los Angeles when the Dragon’s red and white parachutes popped open. Nasa televised the descent live, the dramatic views coming from a plane. The crowd went wild once the capsule splashed down and was seen floating upright. Nasa administrator Jim Bridenstine was ecstatic following splashdown. All this is “leading to a day where we are launching American astronauts on American rockets from American soil”, he said. A pair of recovery ships was stationed in the Atlantic well before splashdown and quickly moved in, lifting the capsule from the water within an hour. 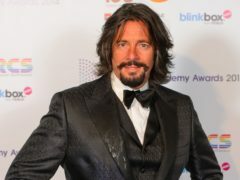 The capsule is expected at Port Canaveral on Saturday night. Splashdown will occur much closer to shore once astronauts start flying. Next up is Boeing. Boeing plans to launch its Starliner capsule without a crew as early as next month and with astronauts possibly in August. The Starliner is designed to land on land — in the US South West. Nasa awarded the first contracts in 2014 to SpaceX and Boeing, now totalling about eight billion US dollars. This first SpaceX test flight opens a new era, Mr Bridenstine said, with new technology and new business approaches. SpaceX acknowledges some capsule systems need more work before astronauts climb on board for lift-off, as early as July. Vibration, acoustic and other measurements were taken throughout the recently completed flight, not only of the capsule but also the mannequin — named Ripley after the lead character in the Alien films — which was strapped into one of the four seats.